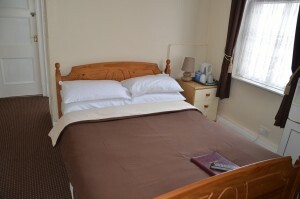 The Rooms & Rates at the New Kent vary throughout the season. 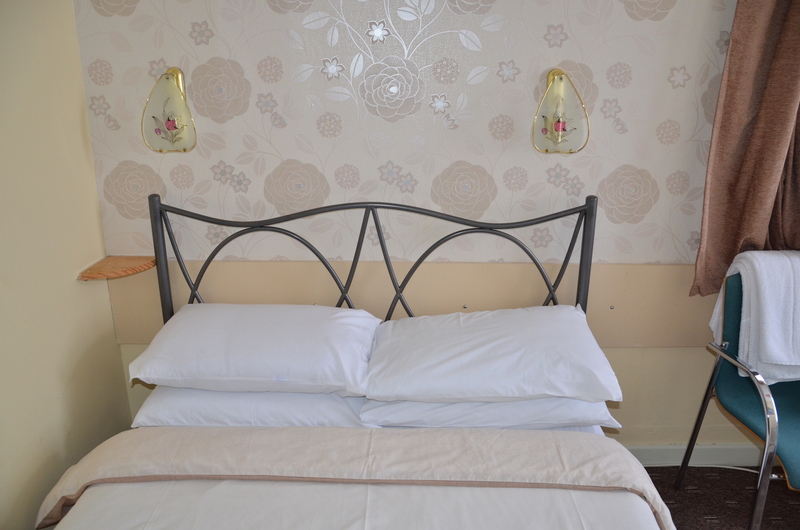 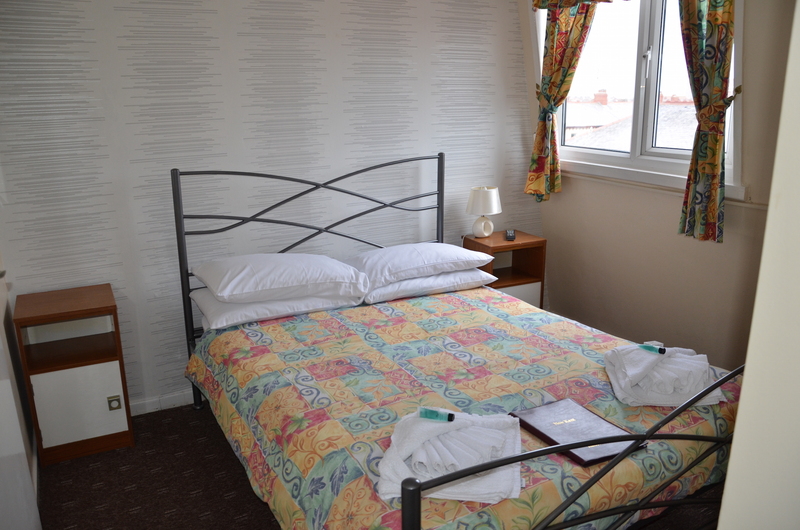 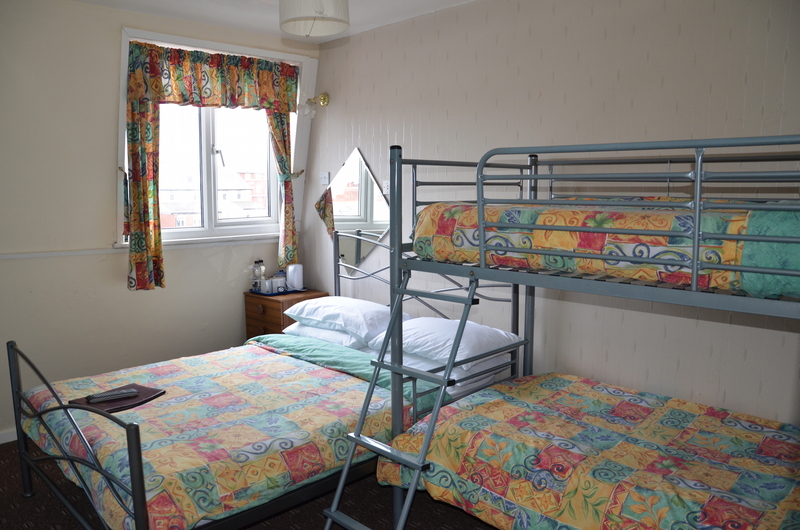 We have eleven bedrooms, nine of which are en suite (other two rooms are part of the family rooms) and we offer accommodation for families, couples, singles and friends which we feel offer ‘rooms & rates’ at great prices. 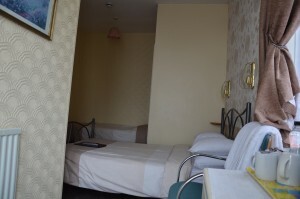 Our rooms are fresh, clean and each contain tea and coffee making facilities. The view from the first floor veranda gazes out towards the sea and delivers a clean and energizing breath of fresh air. 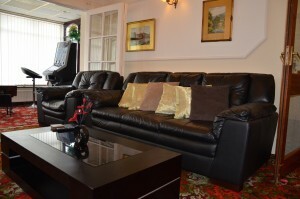 To ensure comfort at all times we have recently upgraded the seating area in our bar lounge with several new comfy sofas. Our room types include Double En Suite, Family En Suite – 2 Adults & up to 2 Children, Family En suite – 2 Adults & up to 3 Children, Single En suite and double rooms and all rooms have had new carpets fitted. Family room with a room inside a room and is suitable for a family with smaller children. Each room has its own En-Suite shower and toilet room. 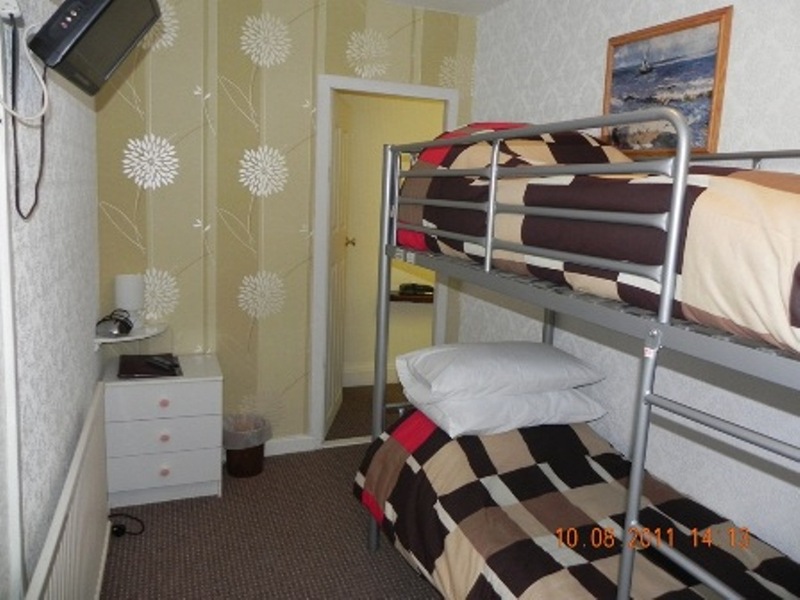 A double bed and flat screen TV in one room for Mum and Dad with a set of bunk beds, flat screen TV in the other. Secure sleeping for all. Double room En Suite, recently made bigger this room also benefits from a full bathroom for those who prefer to have a bath. 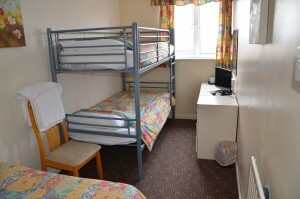 We do not allow adults to sleep in the top bunk of our bunk beds and children under the age of 6. 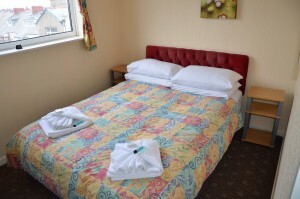 All family rooms are priced to accommodate 2 adults plus 2 to 3 children only. 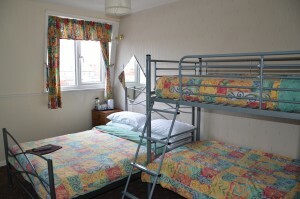 Family rooms booked for 4 to 5 adults will be disappointing on arrival.